In 1999, Chris Ruest moved from the northeastern United States to Texas, where he soon began working with the top talent in Dallas and Austin, and cultivated solid connections to Texas blues and rock and roll history through friendships with Sam Myers and Ray Sharpe. Since 2005, the Texas-based artist has released three solo CDs, featuring performers including Hash Brown, Nick Curran, Preston Hubbard, Ronnie James, and Kaz Kazanoff. Those albums, and his contributions to the all-star group Texas Cannonballs, reveal one of the strongest, most original voices in contemporary blues and roots rock. 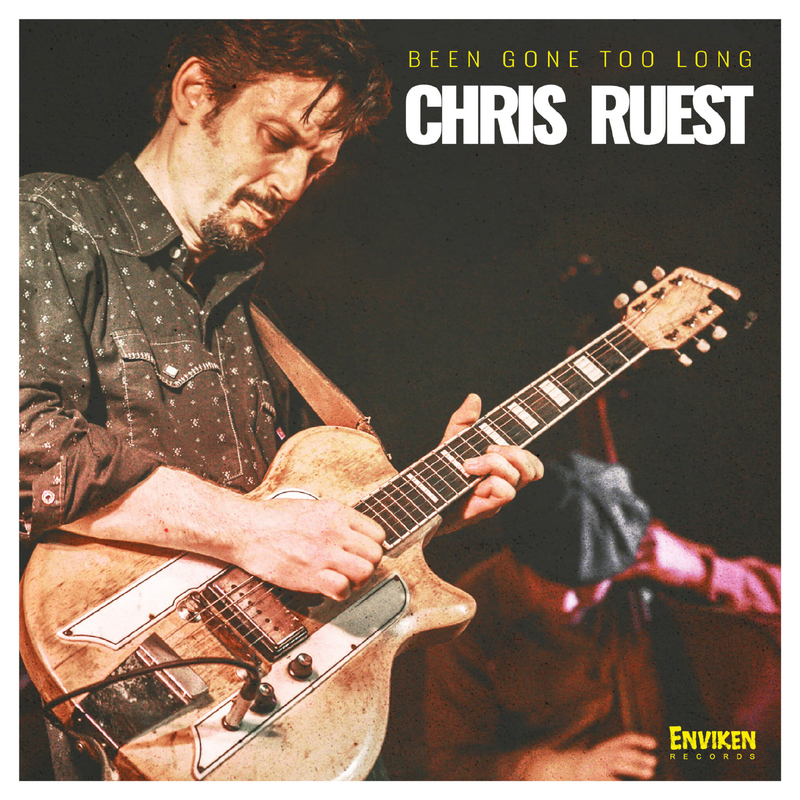 In 2017, Ruest recorded the impressively real and raw blues project It’s Too Late Now, with a trio rounded out by the storied Gene Taylor on piano and Brian Fahey (The Paladins) on drums. Been Gone Too Long is Chris Ruest’s first truly international project. The new album taps into the rich network of connections the guitarist-singer-songwriter developed during his many tours of Europe, where he has played frequently as a headliner, with the Cannonballs, and as part of a revue paying tribute to the late Gary Primich. Three years ago, Enviken Records’ owner Patrik Staffansson attended one of Ruest’s shows in the company of American country-rockabilly songstress Marti Brom and her Swedish touring band. Ruest remembers that Staffansson “asked me if I’d be interested in playing on a few Marti Brom tracks” at his studio. During that session, Staffansson saw potential in cutting a record with Ruest.